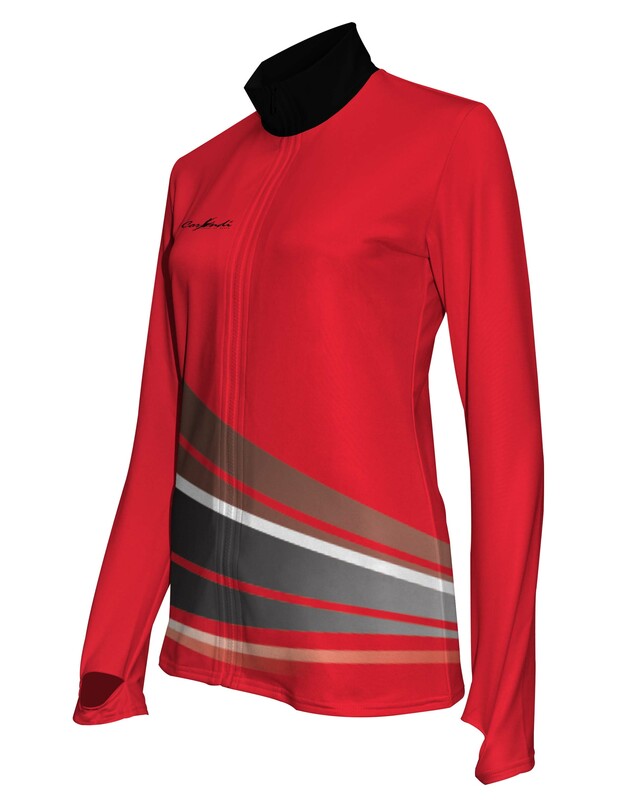 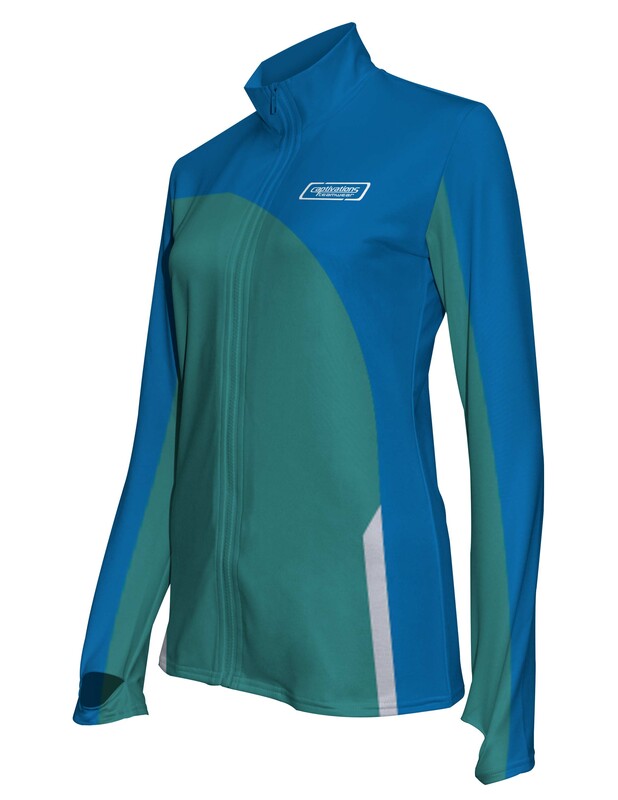 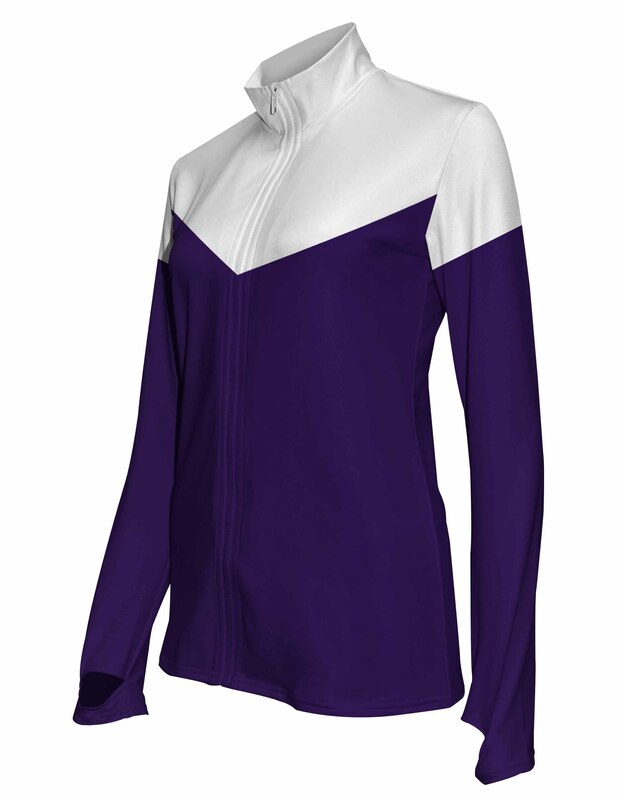 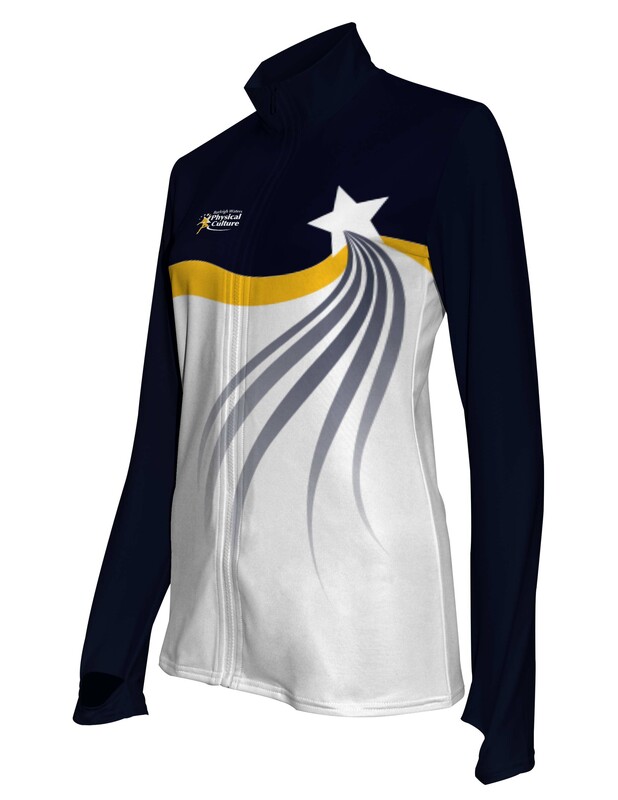 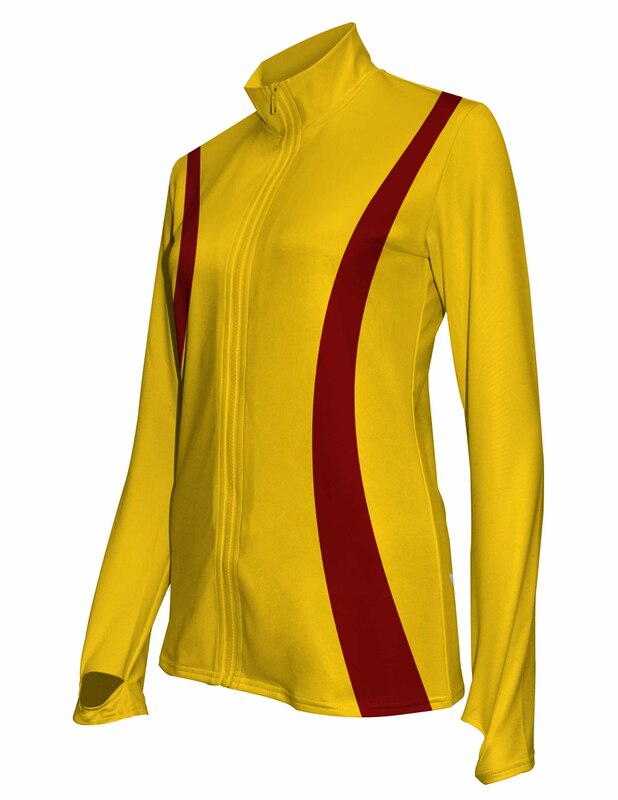 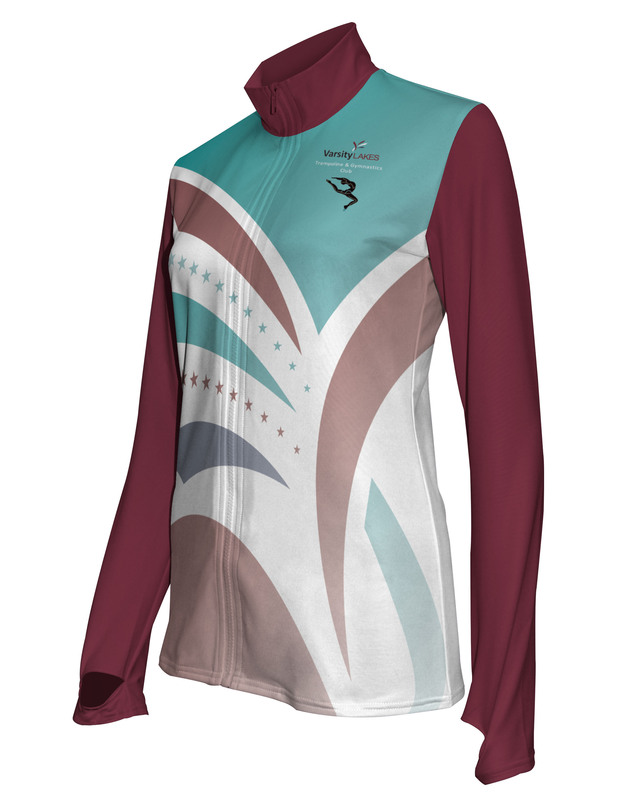 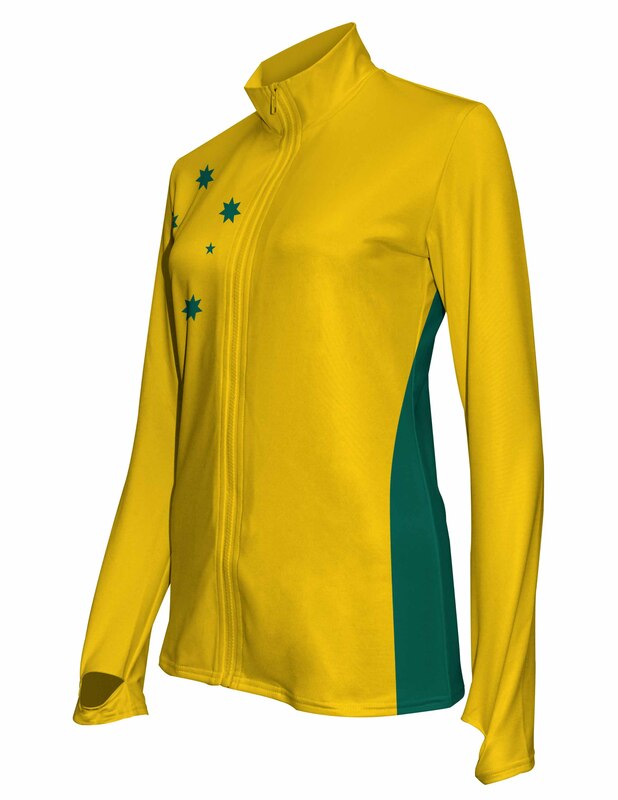 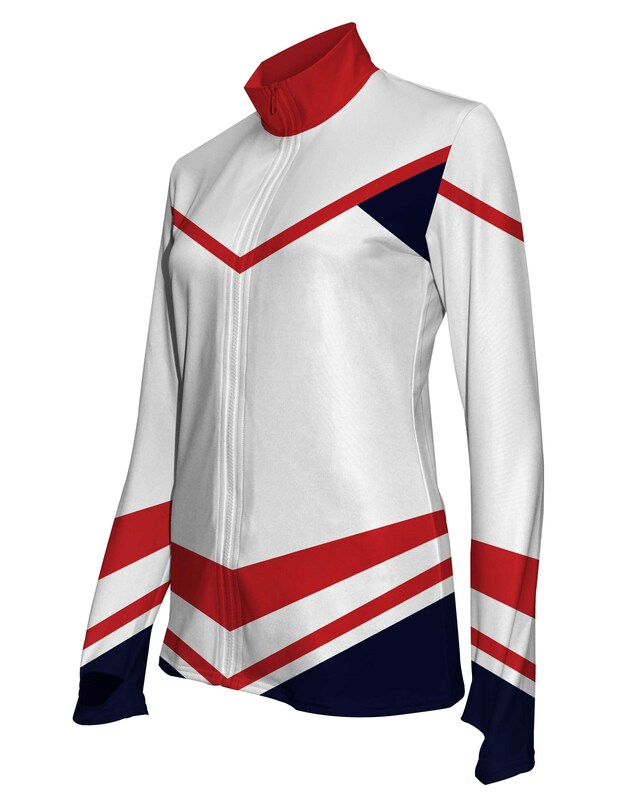 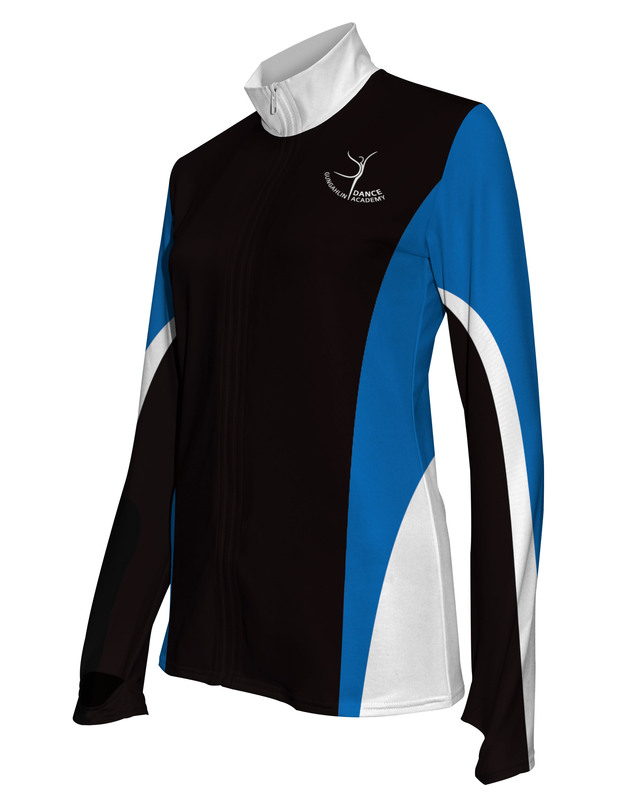 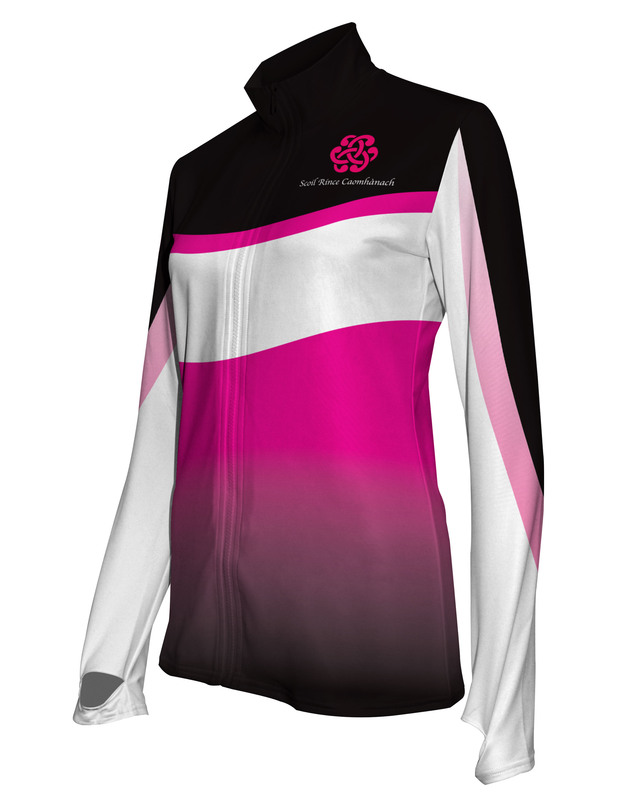 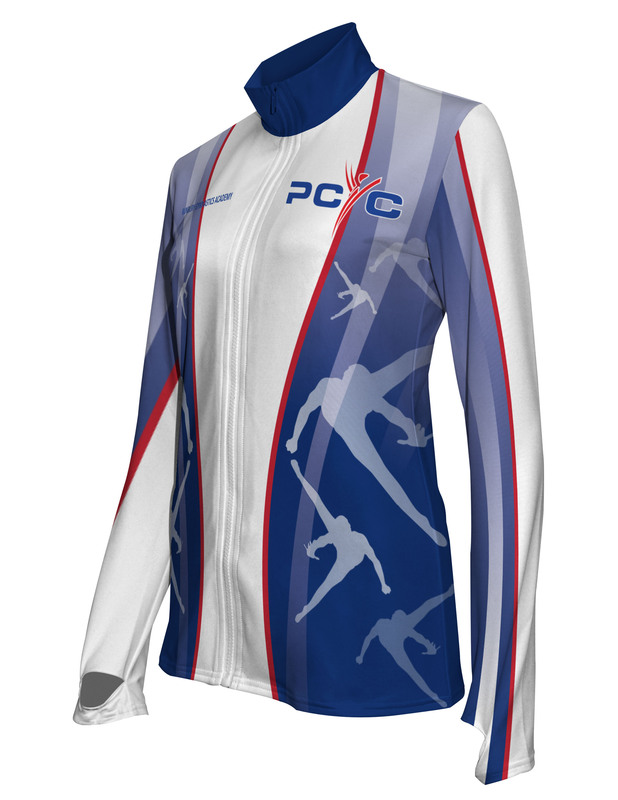 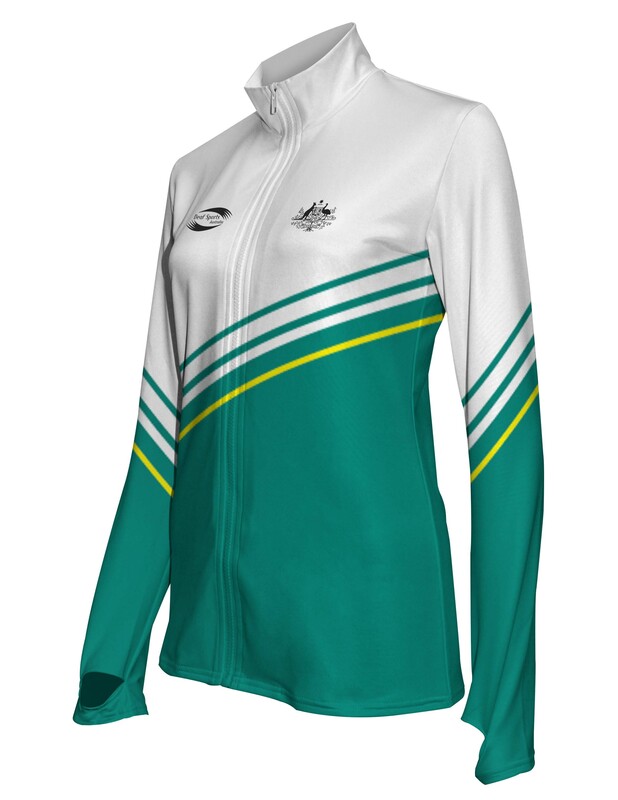 Working closely with ladies sports market Captivations Teamwear developed the custom activewear team jackets. The product brief was to create a modern fitted jacket ideal for warm up and warm downs after sport. 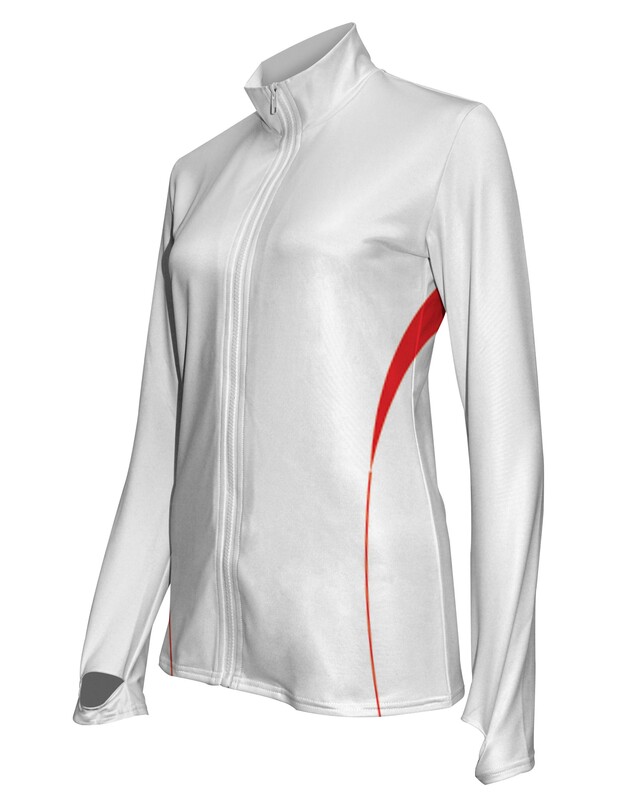 The jacket had to look good and be made with performance fabrics. 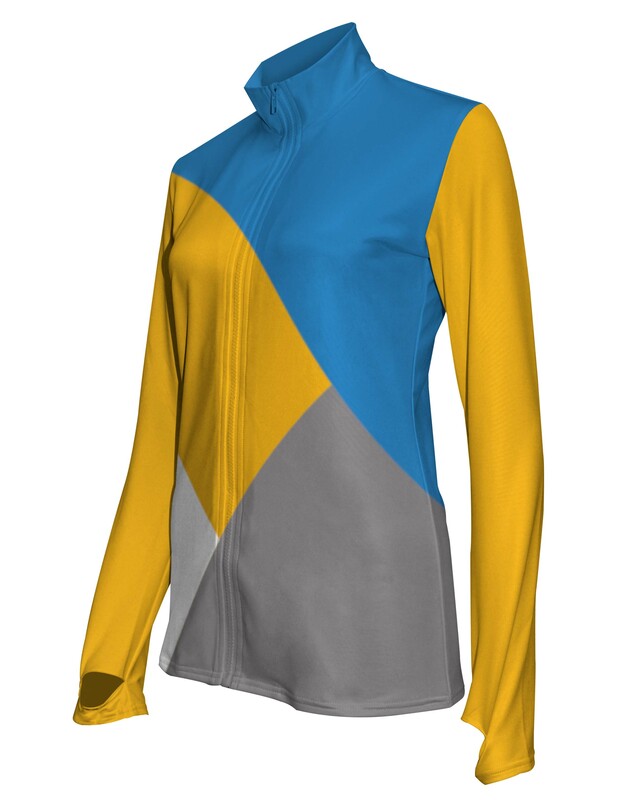 This dance inspired activewear jacket is designed and made to order. 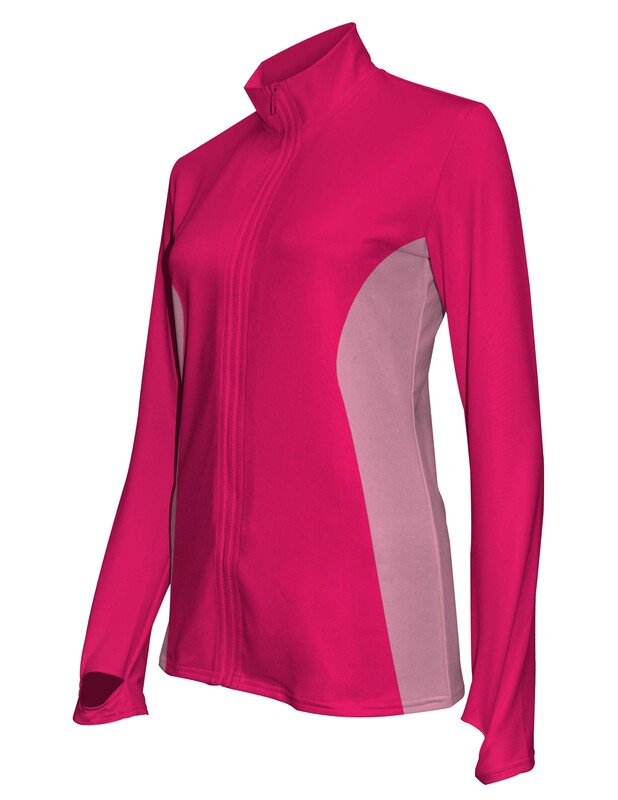 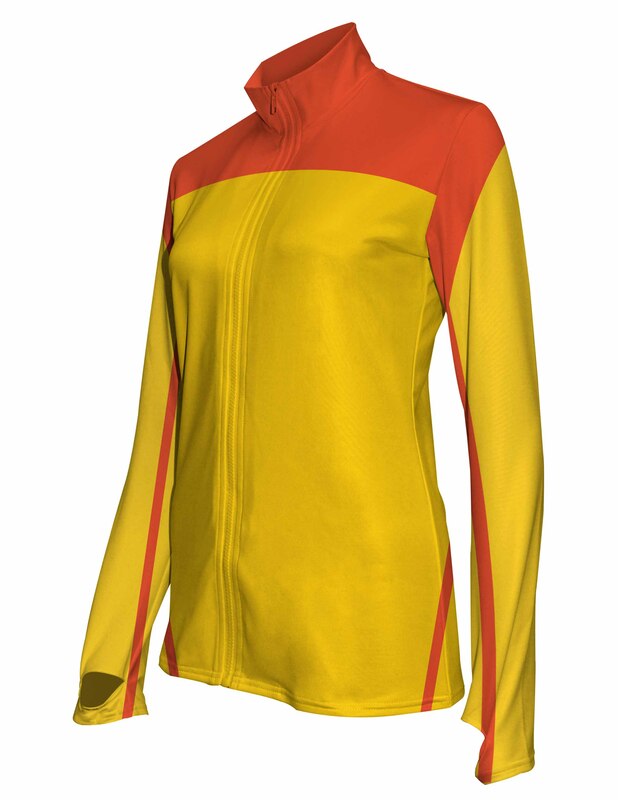 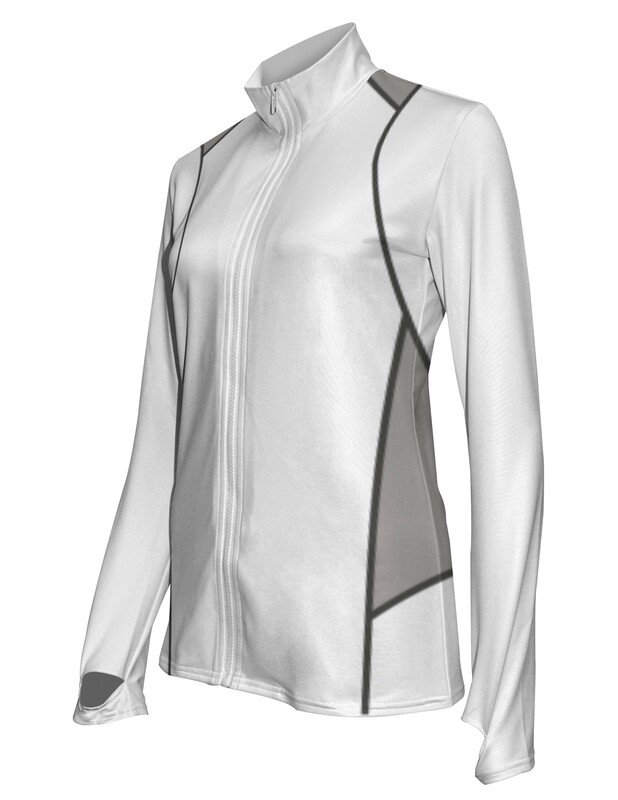 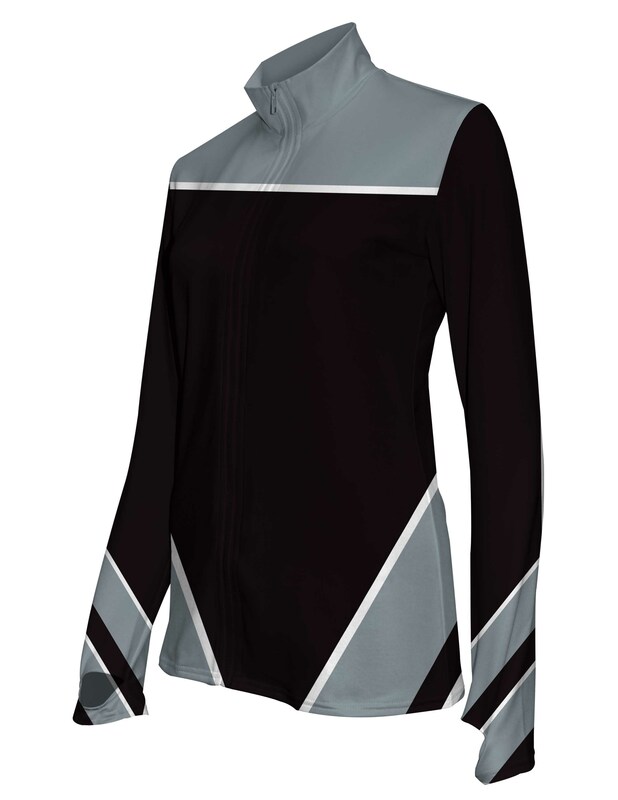 These set-in sleeve activewear jackets have fitted sleeves with thumb hole openings. Two performance fabric options exist depending on requirements - indoor or outdoor activity or tropical or cooler climate. Option 1 is the Performance Stretch Eco is made from 90% PET Recycled Yarn and 10% Spandex. The inner fabric has a French terry handle that is comfortable to wear. This fabric is ideal for sublimation and creating unique custom designs for your team. This is very much a lightweight activewear material for sports and competitions played inside or in sub-tropical climates. Option 2 is the Performance Bonded Fleece made with a brushed fleece lining. This provides more substance and better protection in the colder climates. 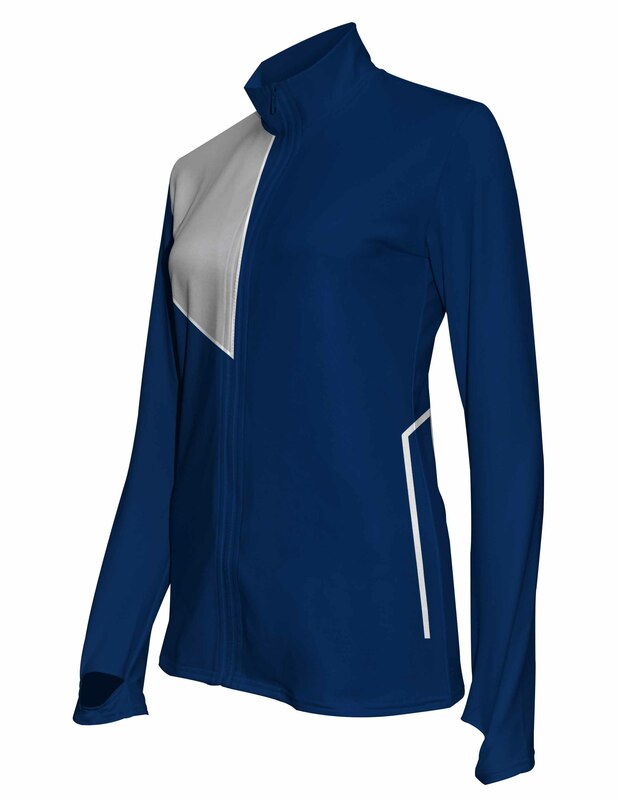 The brushed fleece lining makes this an ideal activewear jacket in colder climate conditions. 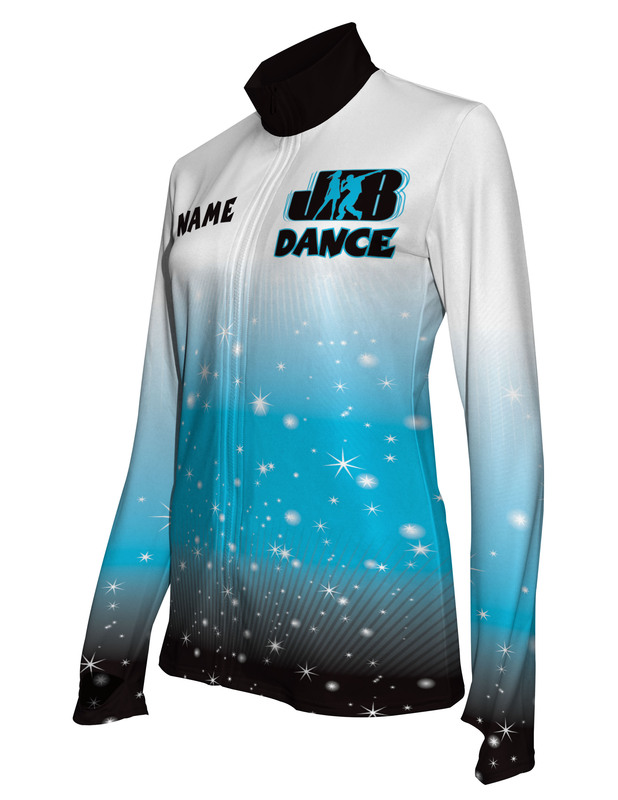 Both fabric options look amazing when using sublimation print technology. We have over 300 standard sublimation colours to choose form. 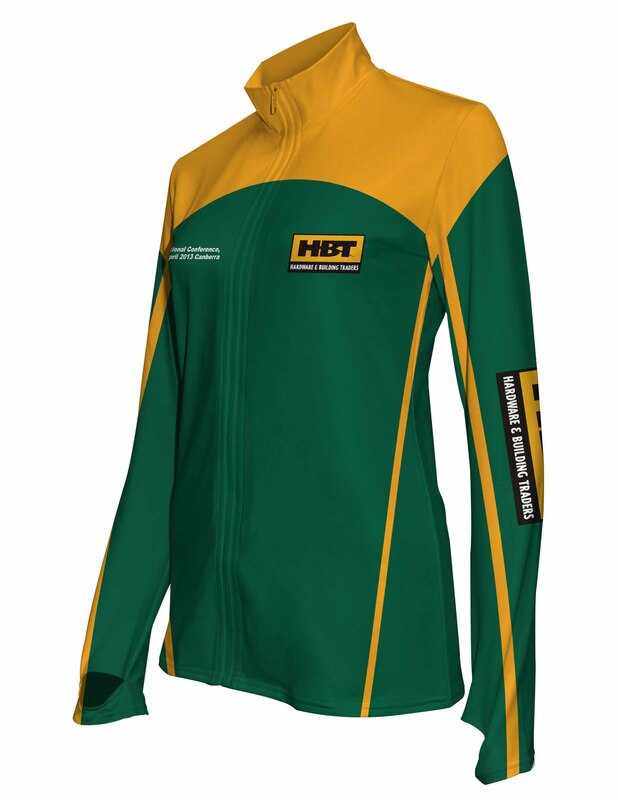 This enables us to create specific designs in your colours on order quantities as low as 10 units. 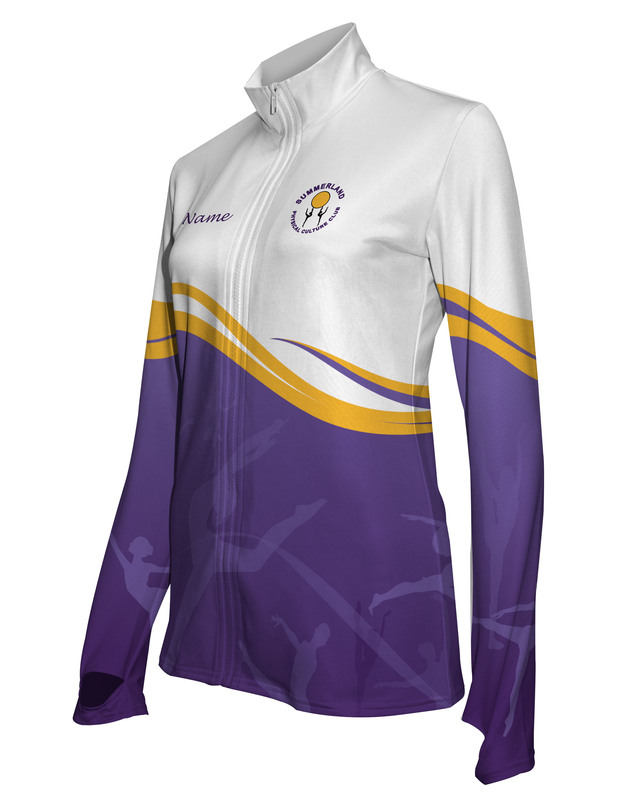 The digital sublimation process enables us to add club logos, team names, player names and multiple sponsor logos at no extra cost. 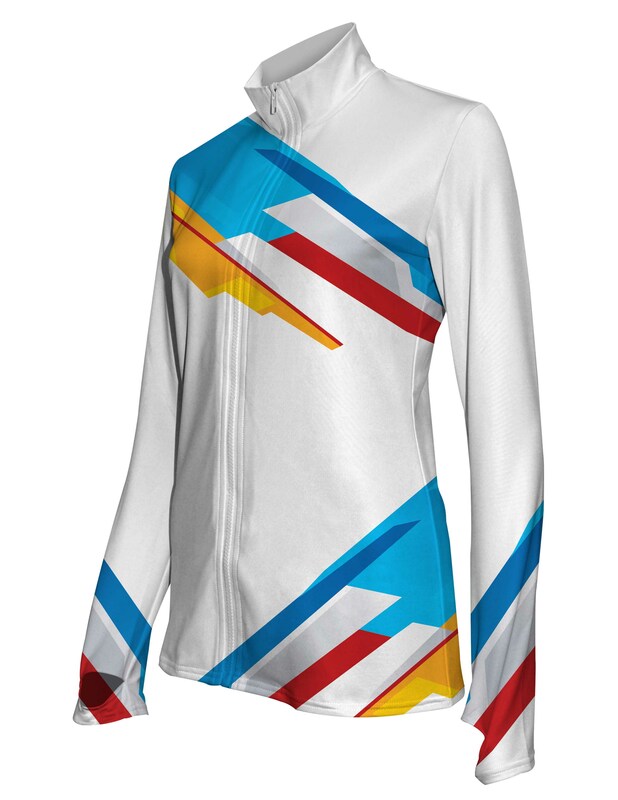 This particular garment is designed and printed using our specific sublimation printing technique. Choose from our wide range of 300+ standard sublimation colour options. Each design displayed can easily be altered or changed to suit specific requirements of each customer. 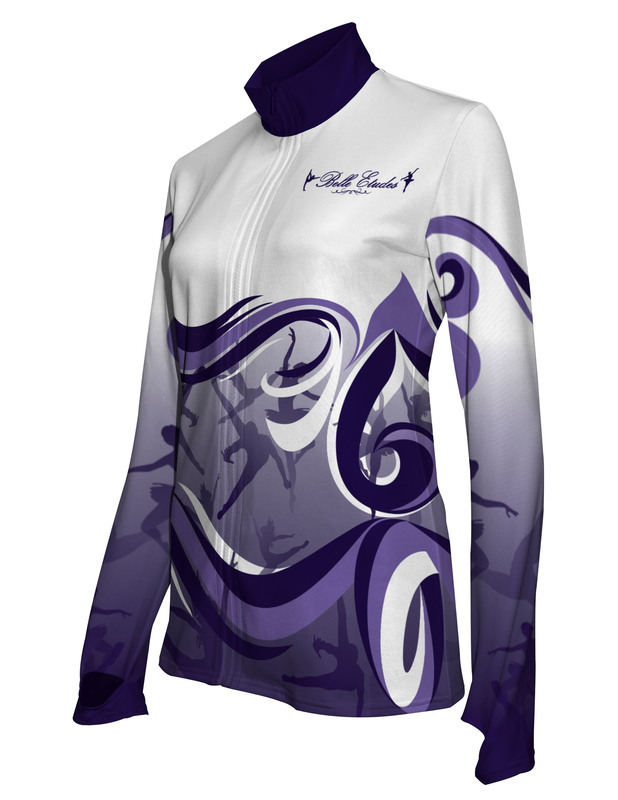 Our Design Your Own feature on our website enables potential clients to create designs specific for them. 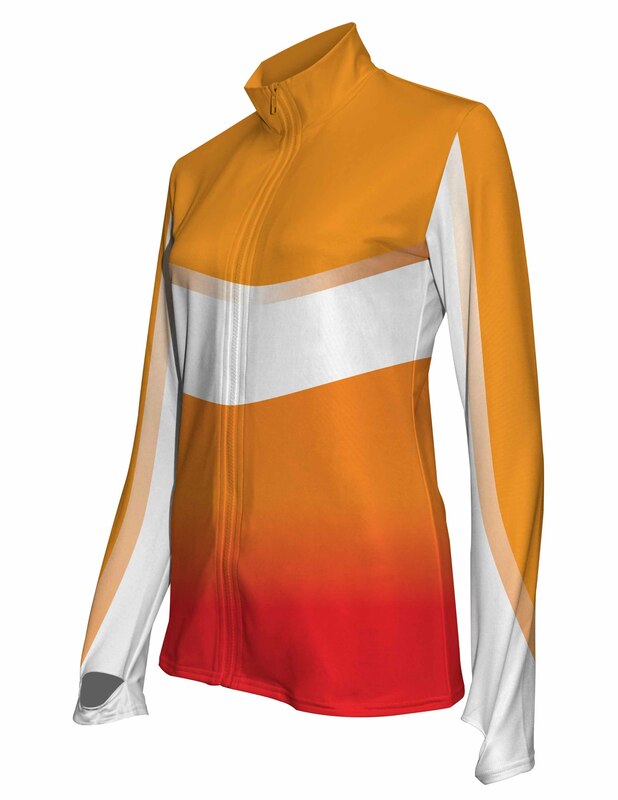 It gets you to about 80%. Our in house design team creates the finishing touches to make your design amazing. No set-up fees apply when placing an order. 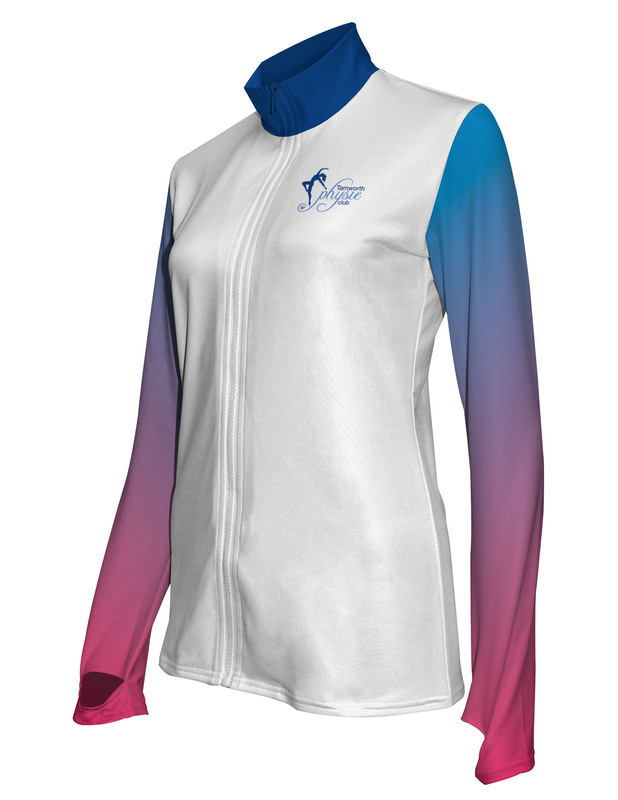 Logos are added at no extra cost if supplied in vector format. 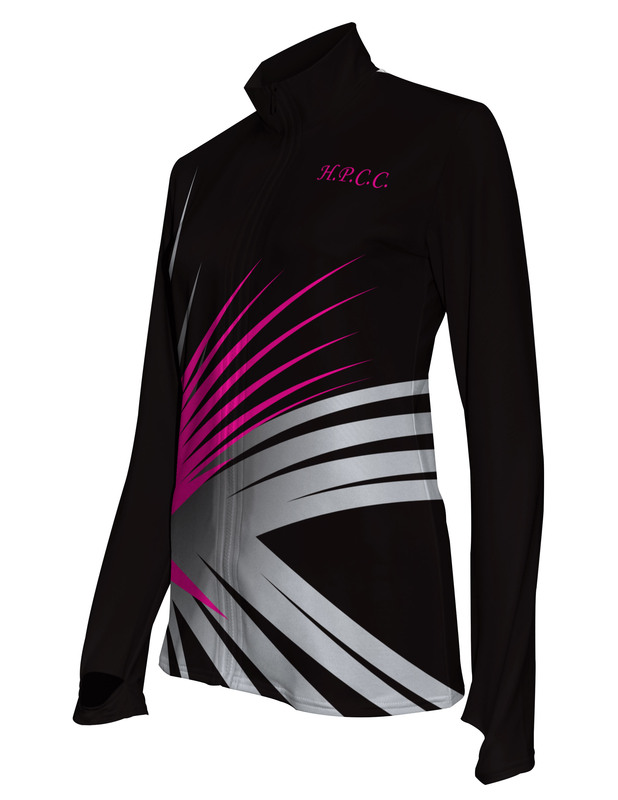 Sponsor logos and team names are all included the original quoted price. 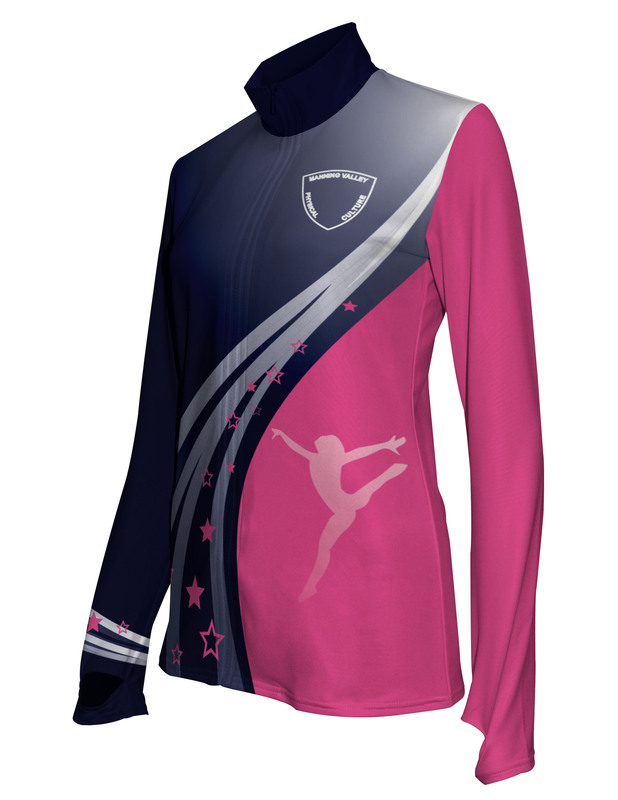 Contact us for our size charts to make ordering correct sizes simple for custom uniforms.